Before ‘Pinoy Big Brother’ became the so-called ‘instant ticket’ to stardom for some of ABS-CBN’s top stars, there was the reality talent search show called ‘Star Circle Quest’. Between 2004 and 2011, two teen and three kids editions of SCQ were produced, and several of its alumni made their mark in the business. 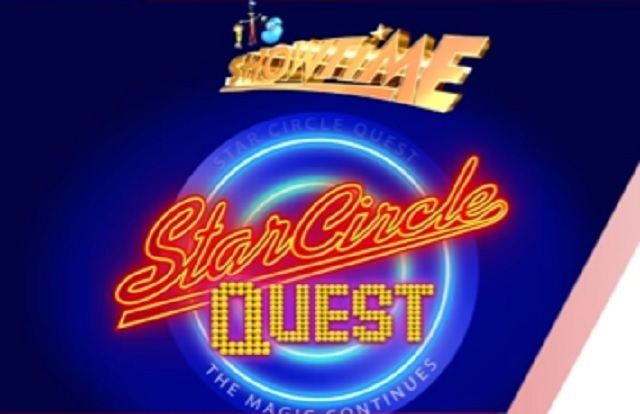 Six years after its last edition aired, ABS-CBN announced that ‘Star Circle Quest’ will be revived as a segment of ‘It’s Showtime’. Auditions for the segment commenced last month, with teenagers aged 13 to 19 years old trying to impress the judges with their dancing, singing and acting skills. As SCQ will now be relegated into a segment of ‘It’s Showtime’, reality show elements will be minimized due to the live nature of the program. Nevertheless, for the many people who became fans of SCQ from the beginning, the prospect of its revival is an exciting one to say the least. ABS-CBN has yet to announce the start date of the competition, so stay tuned for further updates. In a related development, a kids’ edition of ‘Tawag ng Tanghalan’ will take the place of the just-concluded adult edition starting today. Auditions for the competition were well underway, and will follow the same format as the original. And finally, a second installment of ‘Funny One’ will also begin soon. Auditions for ‘Funny One’ began last month alongside SCQ, with the aim of discovering the country’s next great comedian. The resurgence of ‘It’s Showtime’ following the Pastillas Girl-Kalyeserye debacle is a breath of fresh air for ABS-CBN. And following the success of ‘Tawag ng Tanghalan’, expect a lot more from the show once it unveils ‘Star Circle Quest’, ‘Tawag ng Tanghalan Kids’ and ‘Funny One’ to its menu. AGB Nielsen NUTAM: IS (23.1%) vs. EB (15.7%) / Case Solved (10.7%) = Ngayon lang sila nanalo sa AGB ha? TNT really lifted IS to a whole new level. Now that they have a kids’ edition, their momentum should continue moving forward. As for EB, I think the ridiculous Jackpot en Poy segment has to go. They billed it as the ‘most serious’ game, but it’s more of a joke than a competition. Dapat I-fire yung gumawa ng segment na Jack en Poy. Grabe wala na bang creativity? Kahiya naman dun sa host niyan nasasayang yung hosting skills niya dyan. EB, as it seems, has nothing left to offer at this point. Given na 37 years old na sila, mukhang na-exhaust na nila lahat ang mga ideas na kailangang gawin to sustain the product. Time is really ticking for this noontime show, just as Showtime’s hitting its peak. At isa pa yung kinaiinisan ko si Sinon Loresca a.k.a. Rogelia from Kalyeserye. No offense, but I don’t really appreciate his gay personality kasi laki-laking katawan tapos bading na bading ang dating! WTF! For EB, they should get rid him. As for Jackpot en Poy, it seems na puro celebrity naman ang mga contestants (even in Pinoy Henyo lately). I wonder nawala yung dating EB na pinapanood ko dati (prior AlDub mania) like Pinoy Henyo High, Laban o Bawi, or even Little Miss Philippines, etc. I only watch Juan for All segment, but other portions… meh nevermind! Give credits to It’s Showtime to make its peak after inserting TNT last year. EB is really getting desperate. Wala na silang fresh na ideas to come up with. After 37 or so years, it looks like their time is really up. Now I have to wait for their next move to see if they’re still worth watching. No wonder why Showtime prevailed through much of 2016 and this year, thanks to TNT. And Showtime sustained it so far with TNT Kids. On the peak of the Kalyeserye craze, we thought that Showtime’s time is up and will forever remembered as the show that knocked out SIS for good and started GMA’s late morning talk show dilemmas. Now the tables have turned. It’s a shame to see EB go down like this. The ridiculous Jackpot en Poy segment is definitely the last straw. Unless they make up something more engaging, their days as the premier noontime show in the land is numbered. Except that in TNT kids, there is no gong. Considering that the kids’ voices are not as deep, it’s a good call. And for me, the gong means rejection and those kids don’t understand that because they are still young. Good call by the producers. And once the contestant wins five days in a row, diretso agad sa semifinals without the need to defend the title for another day. The first semifinalist of TNT Kids is a contestant from Mindanao and he became the daily winner from its inaugural edition last Monday until today. With that, it’s possible that TNT Kids will run shorter than its adult counterpart since these kids are on summer vacation at this point. Hopefully they crown an ultimate winner as soon as possible. Still, the segment hasn’t been aired and I’ve been waiting for them to return maybe by November or December as a Christmas talent search. We’ll never know when since It’s Showtime is prioritizing its two most popular segments in Tawag ng Tanghalan and Miss Q&A. Let’s just wait what happens next. Perhaps, it won’t happen at all because PBB wrestled SCQ as the ticket to stardom. It will be part of my slated article this November. Unfortunately they haven’t announced the dates yet. Either they’re no longer committed or are biding their time.